So, you’ve curated your dream wedding on Pinterest, selected your dress and had it fitted, and finally know how you’ll be wearing your hair. You’re finally ready to accessorize! 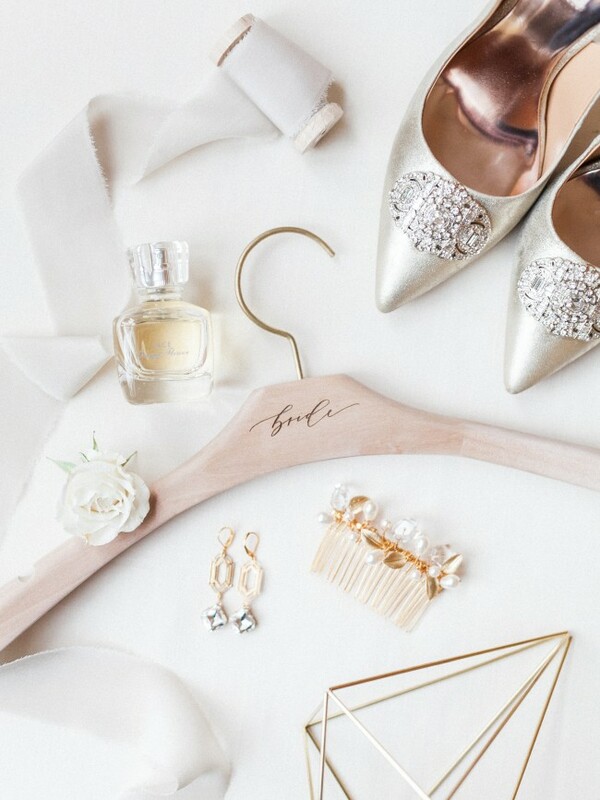 But if you’re not sure which type of bridal accessories will best complement your chosen ‘do, take heart – you are not alone! 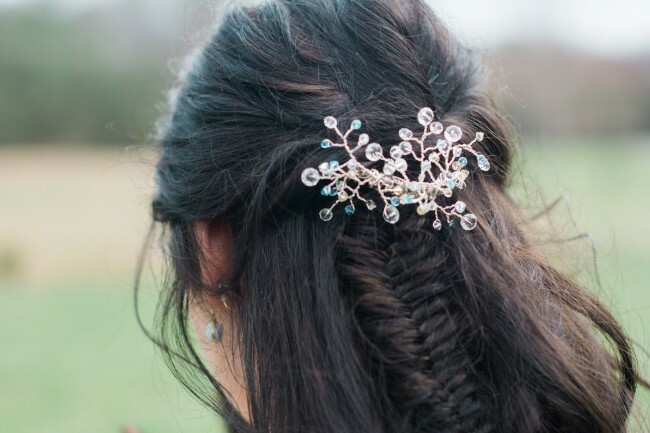 As a bridal accessories designer, the most common question I encounter with my clients during our consultation is, “Which bridal accessory would look best with my hairstyle?” In the following blog post, I’ll be sharing my best advice for pairing the pieces I create with a variety of hairstyles, from low and loose to closely coiffed. 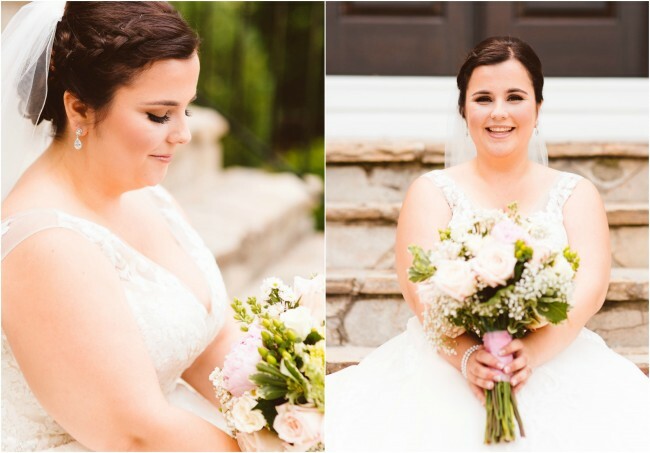 If you’re dreaming of soft curls swept back just-so with a few loose pieces framing your face, a strategically placed bridal comb or pin may be the perfect accent piece for you! 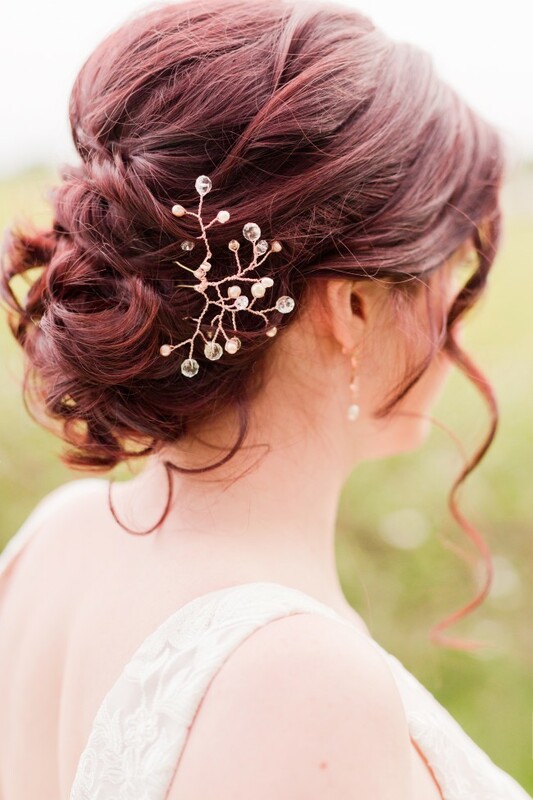 A freeform branch-style pin like the rose gold vine pictured above will mimic the organic feel of your loose updo for a more natural or bohemian style. Or, if you’d like to add a bit of structure to the look, you might opt for a tighter comb like the Amina from our collection. 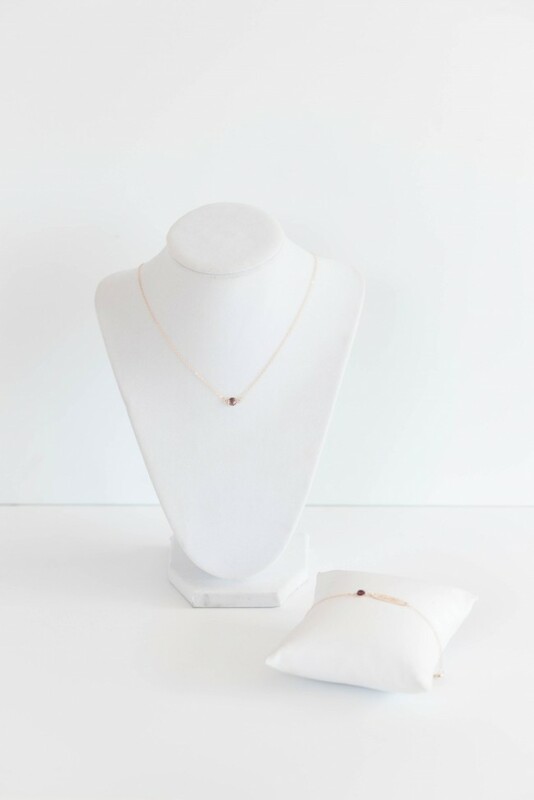 A pair of drop earrings in the size of your choice (large for a statement or smaller to keep it simple) and a matching bracelet will complete your look! 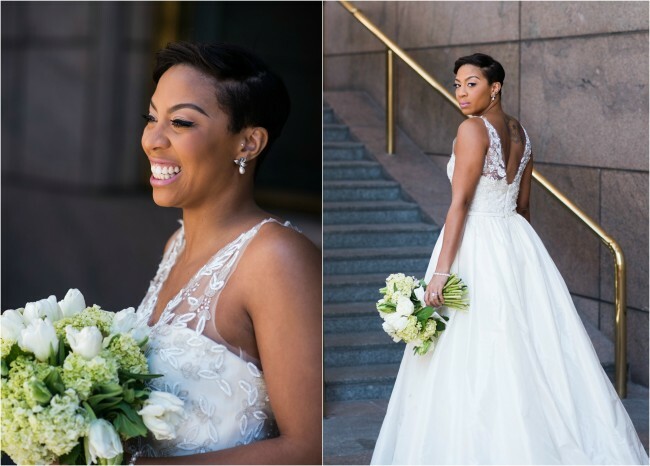 If you rock a short hairstyle, you might feel limited in your options for bridal hairstyles. But just because braids and buns are off the table doesn’t mean you have only one look to choose from! An off-center birdcage veil is a personal favorite for close crops because it brings an unexpected vintage element to a very modern look. Another stunning option is to forego the hair accessory in favor of a dress with a bolder neckline, such as the beaded gown from Hitched Salon pictured above. Drop earrings of your choice will complete the look and you can even add a pair of second-piercing earrings to coordinate! Top it off with a bracelet and you’re ready for portraits. Added bonus: You’ll never have to worry about your hair falling out of place while you dance the night away! A popular style among boho brides, the half-up/half-down style offers a combination of the breezy, natural look achieved by wearing your hair down with a bit of structure that makes the perfect anchor for your favorite hair accessory. 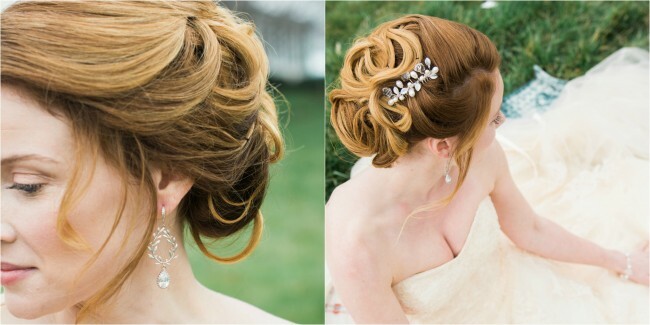 Brides who choose this particular style will find that it’s easy to pull off a statement-sized hair piece. With this in mind, the accessory you choose should bring the “wow factor” – the crowning element of your ensemble. 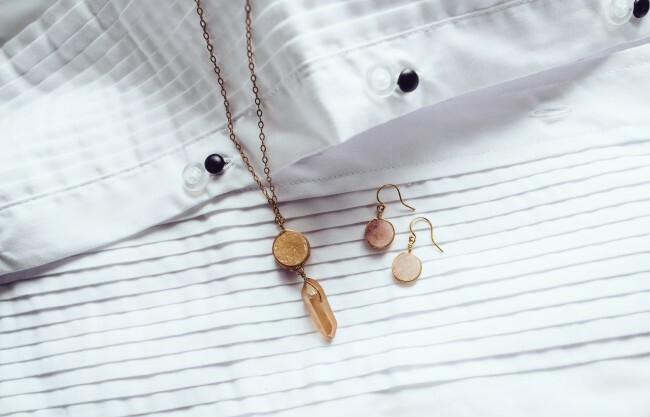 If you’re going for the boho look, a branch-style piece like our Lucille crystal comb works perfectly, along with a pair of matching druzy earrings to complete the nature-inspired design. Perhaps you’re a more traditional bride who just can’t stop thinking about the fancy updo and long veil you dreamed of as a child. In this case, an extra accessory for your hair may be a bit overwhelming, if not just heavy to wear. If your veil is the show-stopper accessory in your wedding ensemble, you’ll want your other accessories to complement it without overpowering. 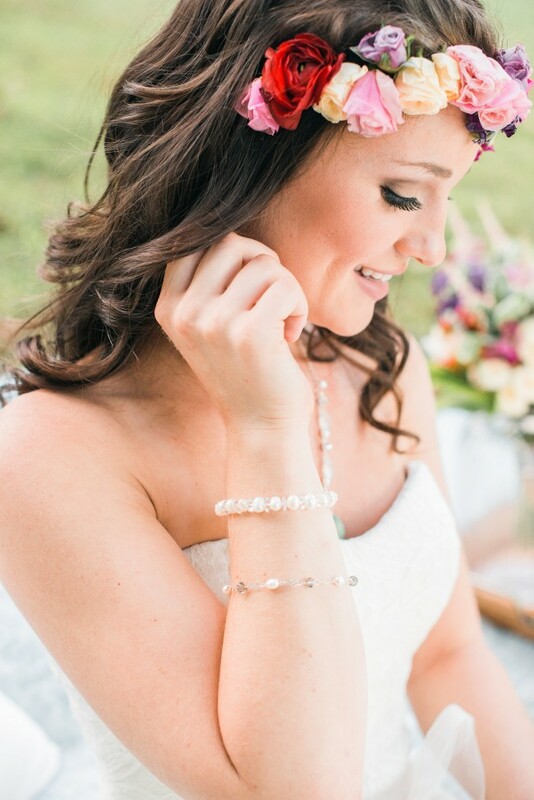 I love the way J’Adorn bride Olivia (pictured above) rounded out her look with a classic double-stranded pearl bracelet and a pair of small, sparkling drop earrings with a halo to match her engagement ring. It’s just the right amount of glamour! Whatever look you ultimately choose, the most important factor to consider is what makes you feel the most beautiful and at ease in your own skin. 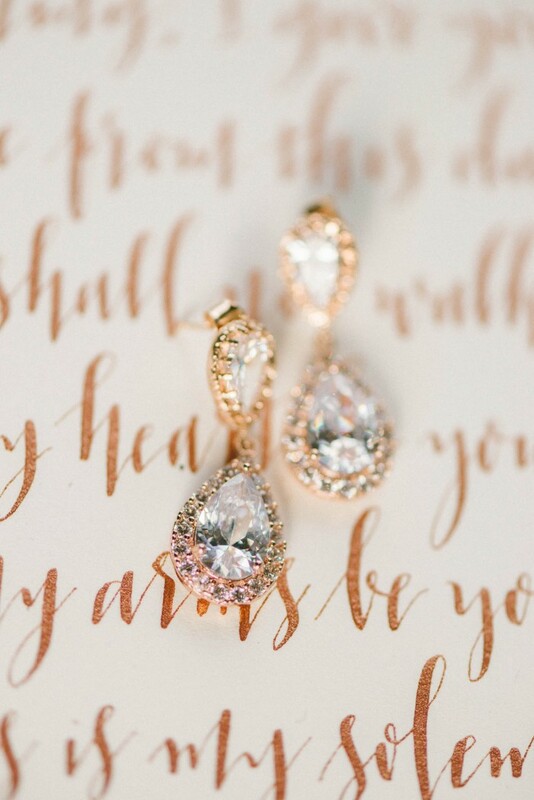 Your wedding day is a celebration of the love you’ve built with someone who knows and adores you. So, rather than trying to fit the particular “look” of a bride you want to emulate, think about what will best highlight who you already are inside. My best advice when all is said and done is to remember that the most beautiful part of your wedding is the love you share with your spouse-to-be and the journey you’re embarking on together. Everything else just helps it sparkle. But do you know how to care for it? It’s ok. You don’t have to feel embarrassed. Most people are clueless when it comes to jewelry care! When you buy a piece of jewelry it doesn’t come with an instructional care tag like your favorite cashmere sweater or silk blouse. But proper jewelry care is the number one way to protect your investment. 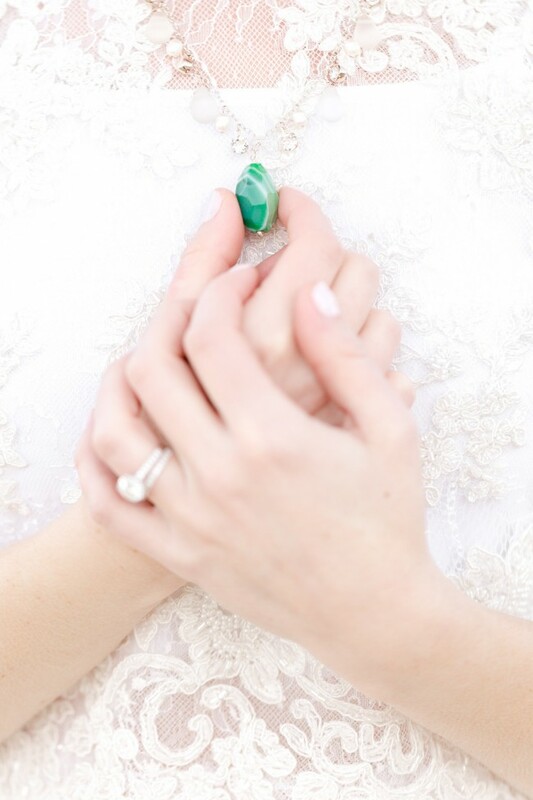 So, today I’m sharing my list of “what not to do” while wearing your jewelry! First on the list of what not to do while wearing your jewelry is something you’ll spend roughly 50% of your life doing: Sleeping. Your bed might seem like a harmless place to wear your jewelry. After all, you’re surrounded by pillows and blankets! What’s the worst that could happen? Because you move around while sleeping, the potential to sustain unintentional damage to your jewelry is actually quite high. Tossing and turning in the sheets can catch a ring prong between threads, pulling it open ever-so-slightly. You may not even notice a change when you wake up, but over time a stone could come loose or even fall out. You’re better off playing it safe. 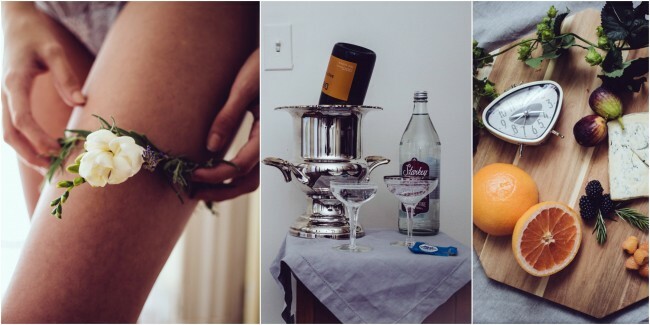 Solution: Invest in a ring box or dish to keep on your bedside table. Get yourself into the habit of taking off your accessories each night before bed. Keep your jewels safe all night and they’ll be ready for you to wear in the morning! Between abrasive soaps, slippery water, and the drain, the shower is one of the last places your jewelry wants to be. This is because the ingredients used in soaps, shampoos, shaving creams, and scrubs can cause both temporary and long-term damage to your favorite accessories. Residue from these substances gets caught between the prongs of your rings, dulling the shine and making stones appear dirty. Furthermore, abrasive agents eat away the finish on your metals, requiring you to have them re-plated by a professional jeweler at more frequent intervals. 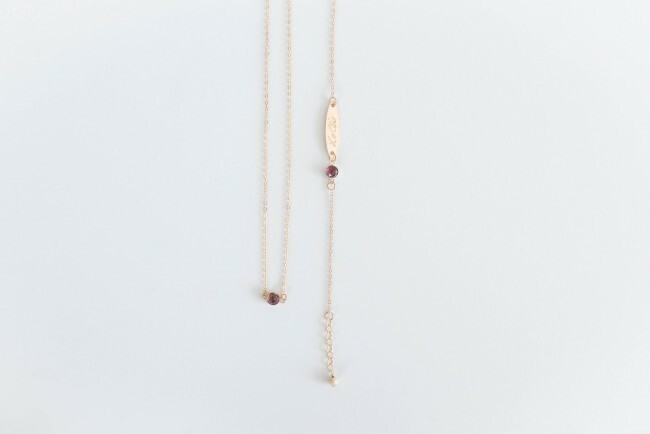 If this happens to your fashion jewelry, which is generally not built for longevity, the plating could come off altogether after a dip in the shower. Finally, we’ve all heard horror stories of people who lose their wedding ring down the drain. Even if it feels secure when you step into the shower, the combination of conditioner and water can cause a ring to slide right off your finger! Solution: Save yourself the headache and make sure you’re totally naked before taking a shower. Whether you’re taking a dip in salt water or a chlorinated pool, remove your jewelry first! Any blonde who’s spent too much time in the pool on a summer day can attest to the caustic properties of chlorine. But did you know that it can also discolor your jewelry? Gold-plated jewelry responds particularly poorly to pool water, since the chlorine can strip the plating completely. When this happens it exposes the raw brass underneath, which can turn green in the chemicals. 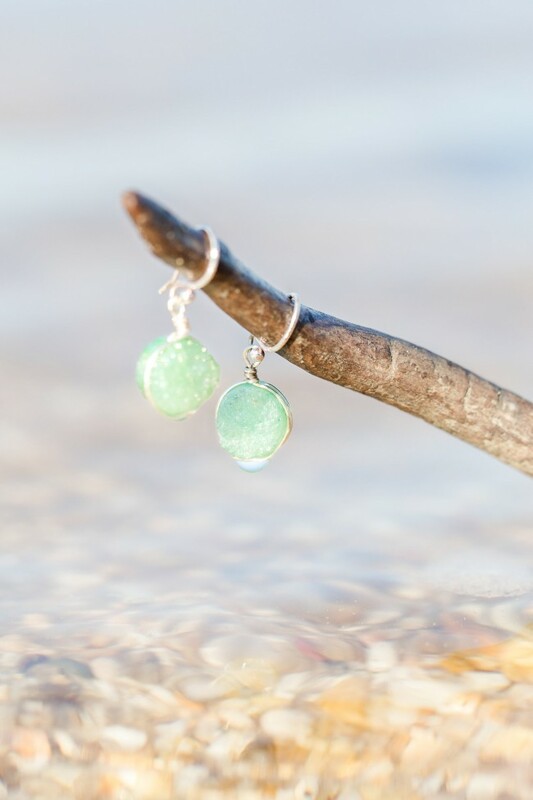 Salt water and its close companion, beach sand, also pose a risk to your jewelry because of the small, abrasive particles of which both are comprised. Solution: Leave your jewels at home. Or, bring along a small zippered bag made of neoprene or plastic that eliminates any risk of sand getting inside. Tuck it inside your beach bag, and you’re set! Remove your jewelry before applying hairspray, perfume, aerosol deodorant, or spray-on sunscreen. Sticky sprays like hairspray can catch dirt, dust, and particles from the environment, which will then stick to your jewelry. Non-sticky sprays like perfume will cling to the surface of your metal jewelry and eat away at the finish or plating. Solution: Keep all of these cosmetics in a place near your shower. That way, you can apply them first thing after washing up, before getting dressed or putting your jewelry on for the day. My final jewelry care tip is to go [metal] accessory-free before you exercise. 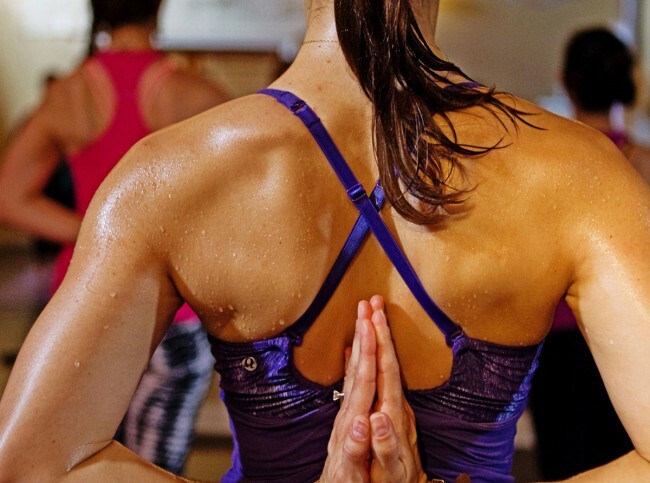 Sweat isn’t a great substance for most types of jewelry to come in contact with. Plated metals are particularly vulnerable to the damage sweat can cause. The oil and salt that your skin produces during a heavy workout or long afternoon in the sun are both abrasive and adhesive, so the finish wears away while other damaging particles like dirt and dust easily get stuck. This isn’t the glistening goddess look you’d envisioned! Solution: Leave your jewelry at home before hitting the gym. Or, use the same type of bag from #3 to keep your jewels safe! Calling all stylish brides and bridesmaids in the D.C. metro area! 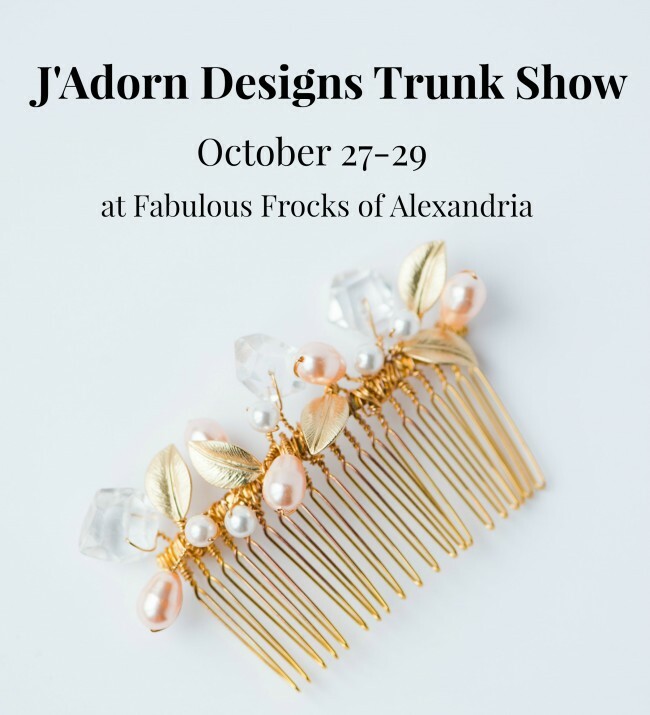 J’Adorn Designs is pleased to announce our upcoming trunk show at Fabulous Frocks of Alexandria, featuring a select group of our couture bridal accessories. The event will run from Thursday, October 27th through Saturday, October 29th. 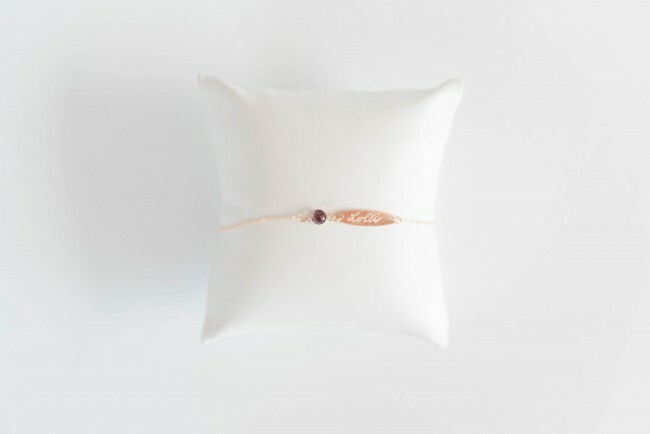 Brides will have the opportunity to try on the accessories of their choice and place an advance order to be delivered to the shop a few weeks later for pickup. If you are getting married and are still shopping for that perfect hair piece to match your veil, or a coordinated set of earrings to give to your attendants as a thank you gift, you won’t want to miss this exciting trunk show event! Here’s why you won’t want to miss this trunk show! Have you had your eye on that one perfect hair comb, but hesitate to order it online because you don’t know how heavy it will feel? Are you an all-business bride who wants to choose your dress, veil, and jewelry all at once and get it done in one appointment? 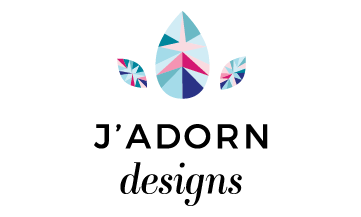 Are you curious about what sets J’Adorn Designs’ handmade accessories apart from the mass-produced jewelry you saw at that other bridal shop? 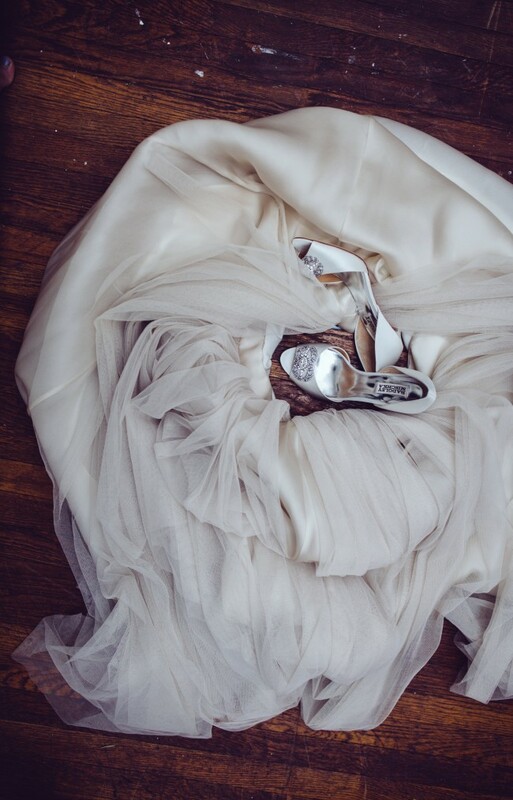 Do you want to see, feel, and handle your wedding accessories before committing? 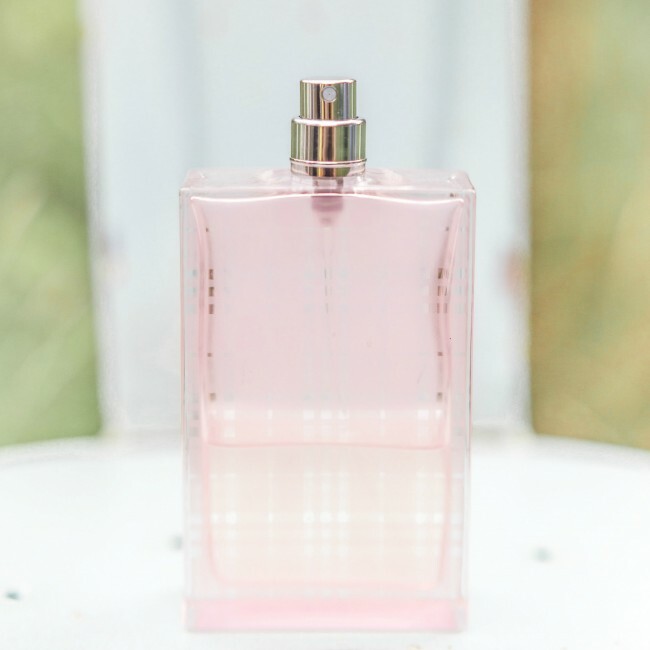 Are you still searching for the perfect bridesmaids’ gifts for your girls to wear down the aisle? If you answered “yes” to any of these questions, this event is for you! To schedule an appointment to try on your favorite J’Adorn Designs jewelry and hair pieces with couture gowns, veils, and accoutrements, contact Fabulous Frocks of Alexandria. We look forward to seeing you there November 27th-29th! When Aimee Griffin of A. Griffin Events first approached me about the Just Married style editorial and explained the concept, my eyes lit up with excitement. 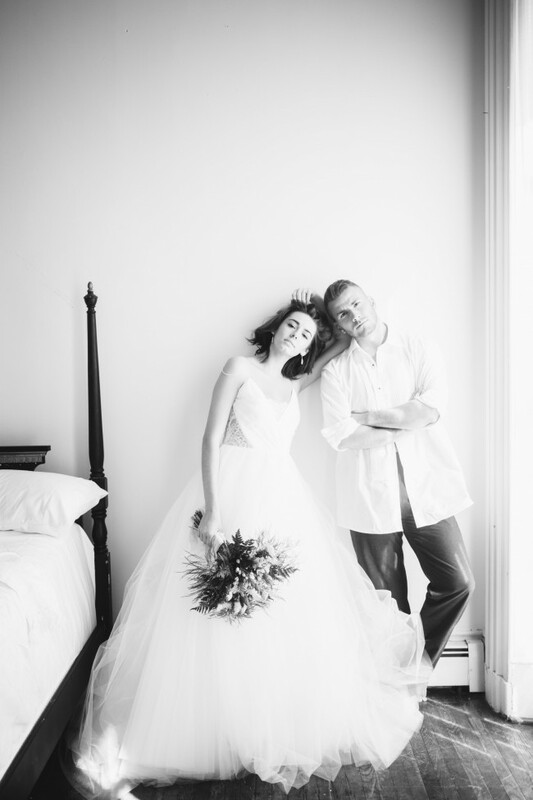 She described it as “the morning after the wedding,” when the newly married couple wakes up “a little bit hungover and very much in love.” The idea is so original, and it was executed even more beautifully than I could have imagined. 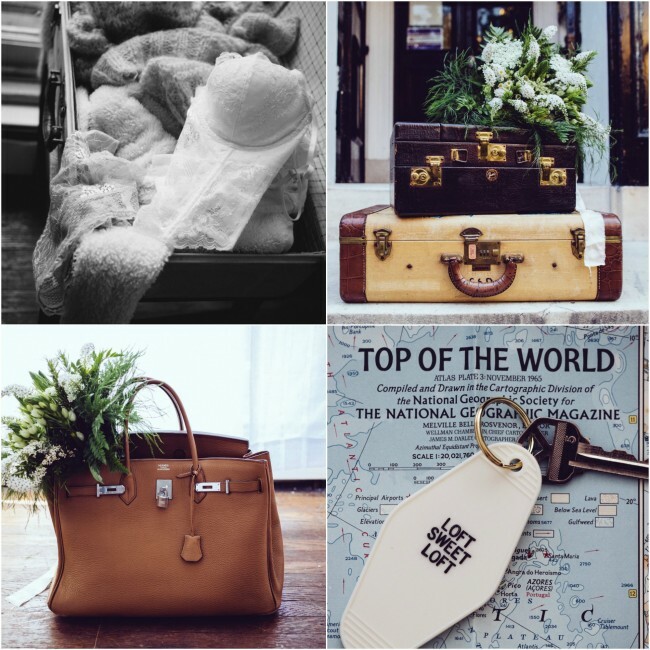 What follows is a gallery of photos that captures the intimacy, sweetness, and playful romance of being just married, from the first crack of dawn to embarking on the honeymoon. Scroll through and enjoy! Lauren contacted me shortly after the arrival of Cody, her first child and the first grandchild in her family. She wanted to create a special piece for her mother to celebrate her new role as a grandmother. 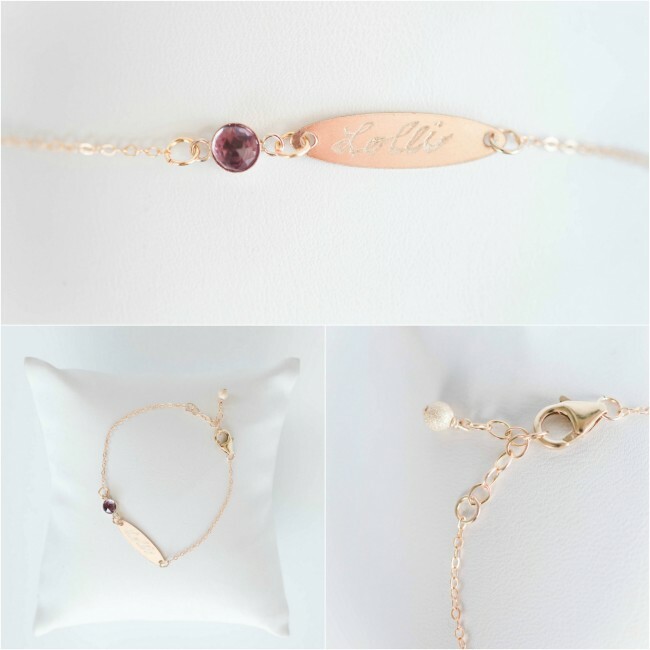 Her vision was a delicate bracelet featuring Cody’s birthstone and an engraved nameplate reading “Lolli,” which is the name her mother prefers over “grandma.” We designed her bracelet with the ability to add more stones over time as the family continues to grow with more children. 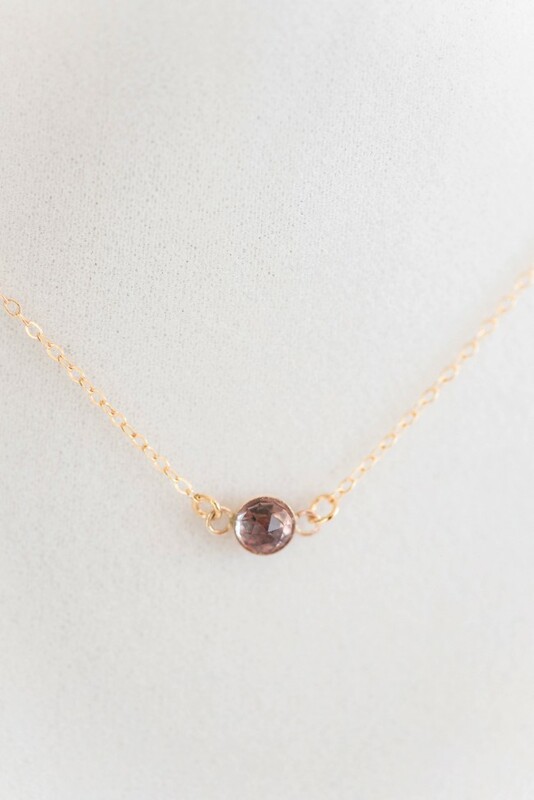 In the process of designing her mom’s bracelet, Lauren ended up falling in love with the Alexandrite stone so much that we decided to add a matching necklace to the order for her to wear. The result was an elegant set of custom jewelry that I fell in love with, too. My favorite part of this custom project was learning about the gemstone at its focal point. I learned that Alexandrite is a rare gem that appears to change colors in different lighting. To the naked eye, the stones pictured here are a prismatic combination of purple, green, and blue – this is how they looked the entire time I had them in my studio. However, when photographed or placed under incandescent light, they become the reddish-purple that you’ll see here! Alexandrite is a great alternative to the traditional pearl birthstone in June if you’re looking for something a little different. Congratulations to Lauren, Michael, “Lolli,” and the rest of your family on your new addition! Thank you for choosing J’Adorn Designs to create these very special pieces in celebration of Cody’s arrival.